After a few weeks of rest, Basselina Club back on top, in a Session with very special guests! 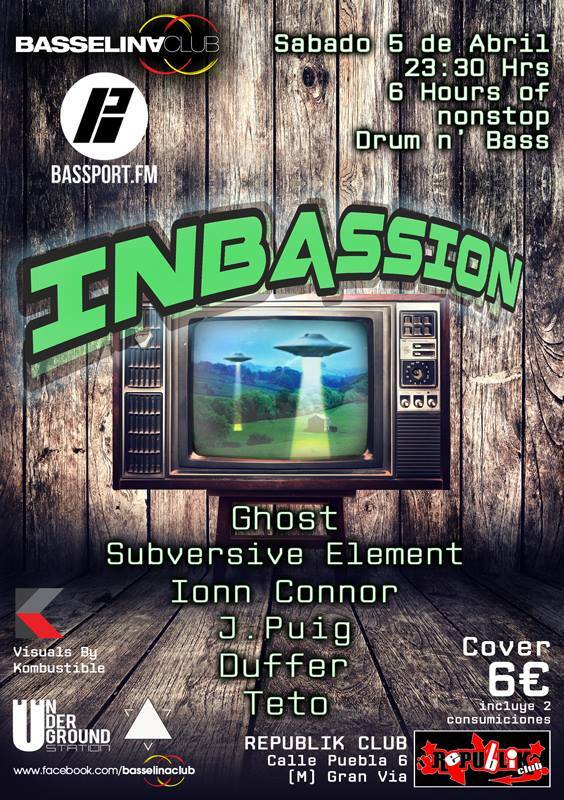 — INBASSION — 6 hours of nonstop Drum n’ Bass for everyone! And directly in streaming on BassPort Fm Uk. – GHOST (Ven-Lux), founder of the Venezuelan crew: Another Level, brings his session of broken beats and live percussion. – SUBVERSIVE ELEMENT(Ven-Sp), head of the Underground Station Crew. – J. PUIG (Sp), Dj/Producer, weekly resident on Bassport FM. – TETO (Sp), member of the Elektrodelia Krew Spain.